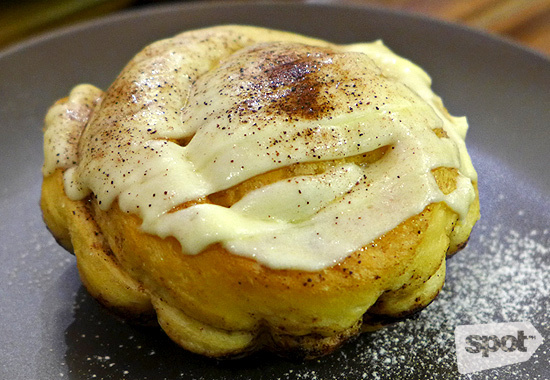 Discover great eats and brews from heirloom recipes. 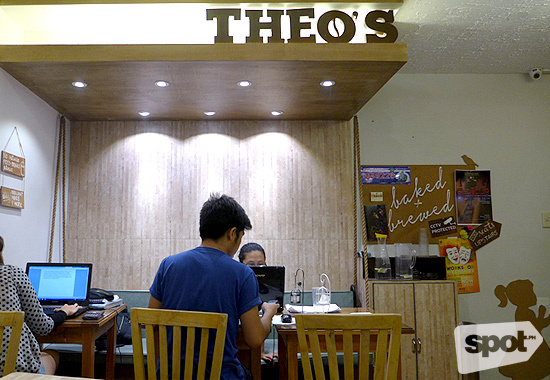 (SPOT.ph) With soft music and the smell of newly ground coffee and freshly baked goodies, Theo's Baked + Brewed is perfectly suited for those looking to escape for some quiet time with company, a book, or a laptop (whatever your fancy). 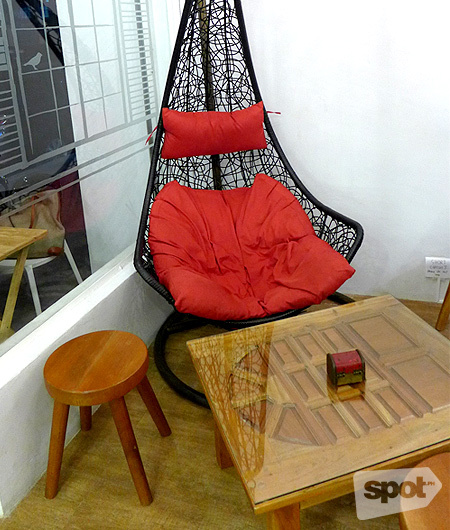 The cafe, the latest addition to Maginhawa Street's roster of specialty shops, is reminiscent of the comforts of one's own home. Shut your eyes and you'll quickly settle in, enjoying their great selection of food and drinks. 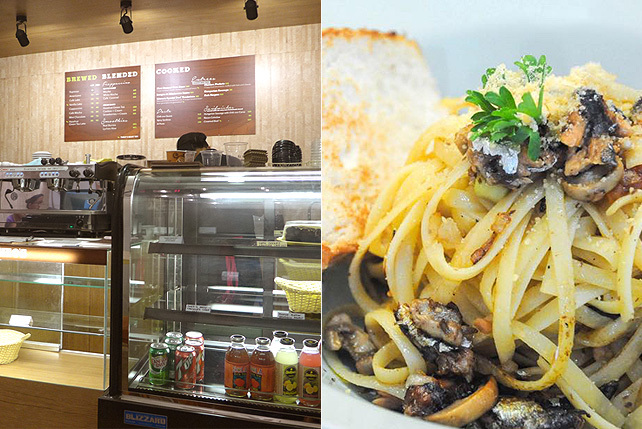 The rustic treehouse-themed cafe is the brainchild of husband-and-wife tandem Crystal and Alfred Retuya, who named the shop after their son, Theo. Crystal is a doctor by profession but assists pastry chef Alfred in running operations. "He was born into a family who loves to cook so he grew up around food, around people who love food," she says. "He was made for the kitchen." Crystal says the cafe welcomes a diverse market and a wide range of tastes, as evidenced by their collection of mismatched furniture designed for all ages: a duyan for the ultimate chill, banquet seating for families, wooden stools for barkadas, and laptop nook benches for students. 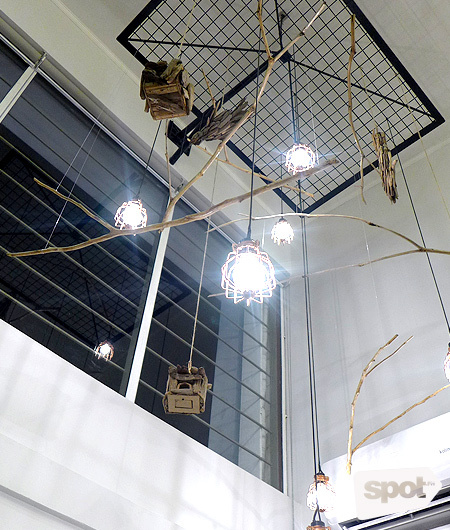 Theo's overall interiors are aligned with the rustic, shabby-chic trend, their DIY chandelier comprised of twigs, wooden birds, and birdcages serving as the focal fixture in the cafe. Crystal also says their murals have started to become a favorite backdrop for social media posts. 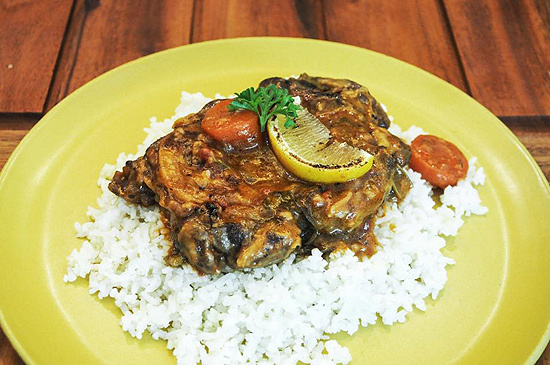 Popular choices for Theo's rice meals include Mama's Special Beef Steak (P180), tenderloin strips marinated in a special sauce, Chicken Pockets (P155), crispy deep-fried chicken drumsticks stuffed with ham and cheese, and Slow Braised Osso Buco (P220), cross-cut beef shanks braised in white wine sauce and served with vegetables. They also have a couple of pasta offerings including Chili Tuna Tomato, Creamy Pesto (P130), and Chili con Queso (P148). 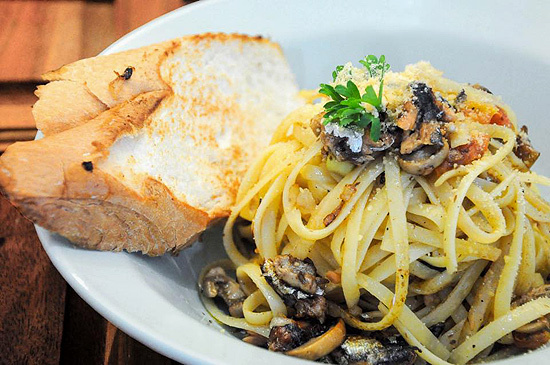 Each dish is served with buttered bread, and you can get an extra slice for just P20. 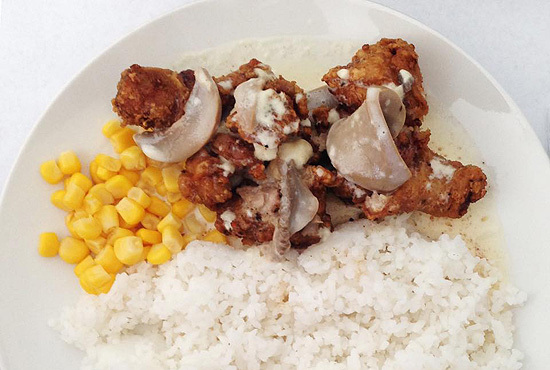 Their Creamed Beef Sandwich (P125) is likewise a hit among the crowd. Did we mention that they use homemade bread on all their sandwiches? 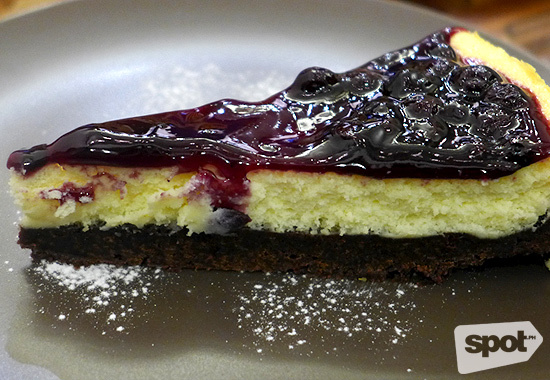 End your meal on a sweet note and have your pick from Berry Waffles, Cinnamon Cream Cheese Roll, or a slice of one of the best cheesecakes in Maginhawa, the Berry Brownie Cheesecake (P110). 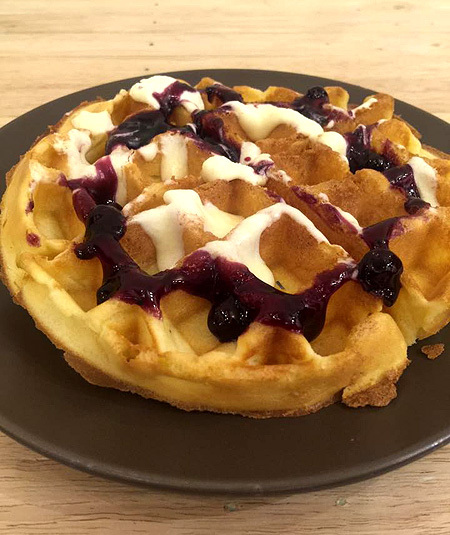 All baked goods on Theo's suite of sweets are Alfred's doing, and each indulgent bite is worth every calorie. 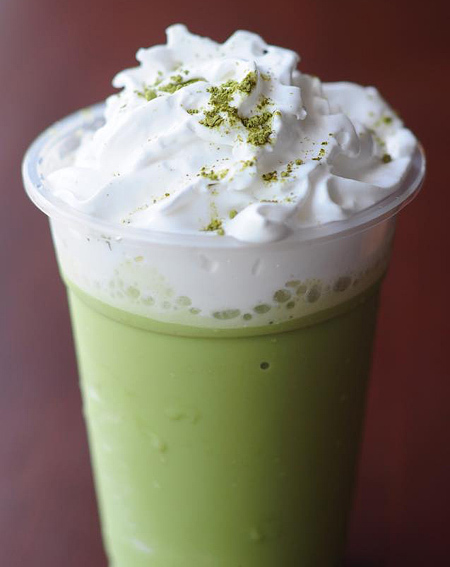 Pair your grub with their selection of brews and blends: Vanilla Latte (P70/small, P80/medium, P100/large) or Hazelnut Green Tea Latte, Cookies and Cream, or Strawberries and Cream Frappucinos (P70/small, P80/medium, P100/large each). They also have smoothies for those who prefer a more summery taste: Real Berries or Lychee Aloe Smoothies (P70/small, P80/medium, P100/large each). 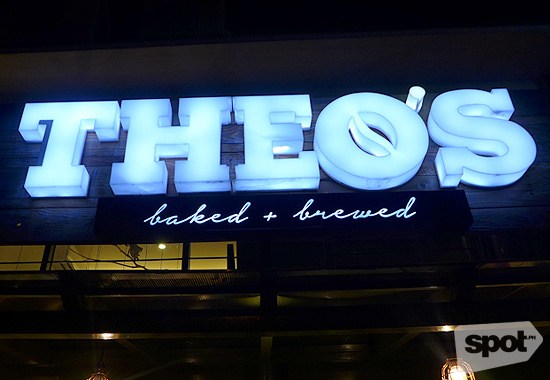 Theo's is every bit a piece of home, where carefully crafted and lovingly prepared meals meet quiet solace at the center of the lively Maginhawa scene. Sebastian's Pride Pops are Back!